Ask yourself one question. Why aren't people more successful? If you've ever suddenly had that idea that made you sit up and say 'Aha!' or made that proverbial light bulb go off in your head, you've probably had an idea that could well be a game-changer. We all have, at some stage of our lives, what we would describe as a great idea. These are ideas which make life better, easier or more enjoyable for all who use it, and it may make you rich and successful by implementing it. But the sad fact is that very few of us have confidence and know-how to follow through with great ideas and see them successfully applied. This is the fundamental reason why some people aren't as successful as they could be. In this ground-breaking book I will change all that for you. 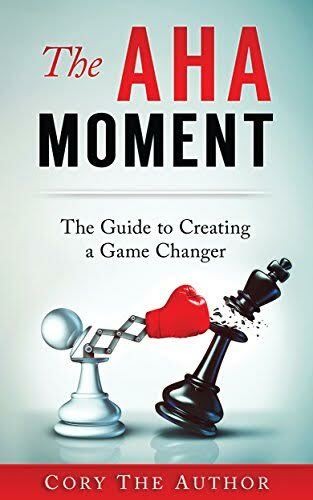 In each chapter, I lay out the process of preparing yourself to be a game-changer and show you how to take an idea from a budding concept to its complete form. Build confidence, become a game changer, exploit those fantastic ideas and become successful and financially secure. All you need is this book and those all-important ideas to get started.